Let’s take a look at a fearless femme on a mission – Chely Wright! If you haven’t heard of her, Chely is a country singer who reached the peak of her fame in the 1990s with hits like “Single White Female” and “Shut Up and Drive” (not the Rihanna song, trust me). 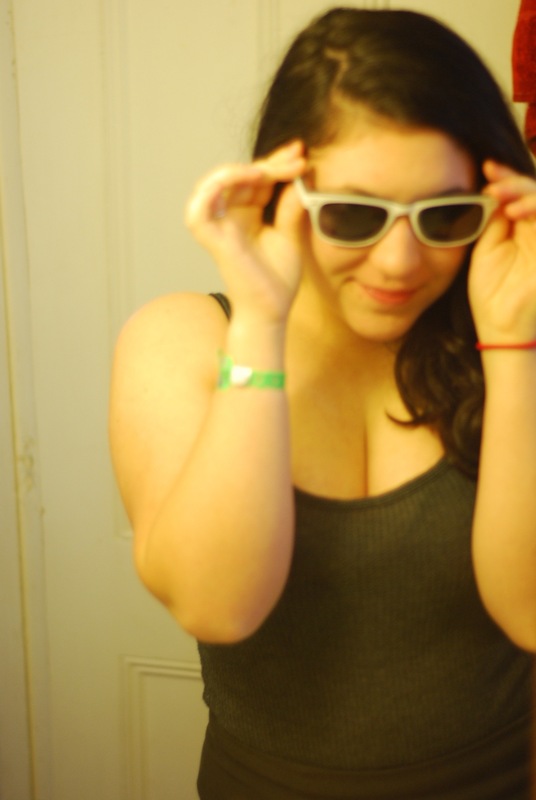 She also famously dated superstar Brad Paisley. After vanishing from the celebrity scene for nearly a decade, Chely reemerged on May 5, 2010, to announce that she is a lesbian. Chely released a memoir, titled Like Me: Confessions of a Heartland Country Singer, as well as a new album, Lifted Off the Ground. With appearances on Oprah and Ellen, within a week Chely rocketed from relative obscurity to everyone knowing her name – and that she is gay. Drawn by her candor and poise, I was deeply moved by both of her television interviews and immediately ordered her book. In Like Me, Chely takes a poignant look at her past, writing in a warm, accessible tone even as she relates her most painful memories. And there is certainly no shortage of pain in this book from its very opening – the scene of her near suicide attempt, with the barrel of a gun in her mouth. Spending ten agonizing years in a secret relationship with a female partner she calls Julia – so secret, in fact, that not even her closest friends or family knew of it – Chely lived in constant fear of being outed, and what such information would do to her career as a country music singer. In spite of all the hardship, Like Me is a pleasant read. Chely’s voice and personality shine through, and her candid stories of childhood, mixed with accounts of her many visits to entertain U.S. troops in Iraq and Afghanistan, were moments of brightness in an otherwise dark past. She had me laughing out loud when she described a wardrobe malfunction at Vice President Cheney’s house that had Chely duct-taping her broken boot together, only for it to fall apart mid-performance. I found myself enraptured by her strength, endurance, and courage to come out in an overwhelmingly anti-gay industry. I wish I could provide more details, but I don’t actually have the book anymore. This is in fact the best recommendation I could ever offer, as it is no longer in my possession because I passed it along to my mother as a gift. I gave it to her during a period in which she and I were barely speaking due to my own coming-out, in an attempt to bridge the distance between us. Reading Chely’s book, my mother has since told me, opened her eyes and her heart to accepting her own daughter as a lesbian. I can clearly remember my mom’s reaction when I first handed the book to her. “She’s so pretty!” she said. I think that was a moment in which my mother realized that there are infinite ways that lesbians can look; then, actually reading the book further liberated my mom from the stereotypes in which she had been raised to believe. Like Me paved the way to more open conversations between us, and for that I will always be grateful to Chely Wright. While Chely’s earlier music never really appealed to me, her new album, Lifted Off the Ground, has some truly great tracks. I recommend listening to “Heavenly Days” with a cup of strong coffee to start a morning off just right. 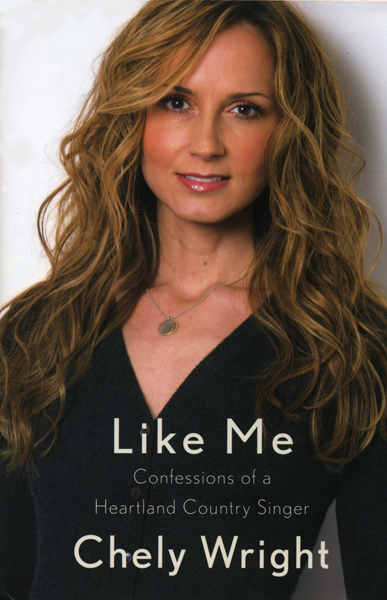 The song “Like Me,” which shares the title of her book, is also quite beautiful. In her interview with Ellen DeGeneres, Chely explains that the title comes from her feelings of alienation growing up in Kansas, and not seeing a single other person like her. “Like Me” holds special meaning as it is the first of her songs to explicitly address her sexuality – it is a love song to a woman. Here, listen! From her brave announcement of her sexuality to her tireless work to increase LGBT visibility, Chely Wright is one fearless femme on a mission. EDIT: Coincidentally, the day I posted this, Chely Wright announced her engagement to partner Lauren Blitzer, a gay rights activist. Here they are – look how cute! SUPER EDIT: Check out the wedding pics! They’re having a wedding! Omg flowergirls and gowns and lace!